Tree pitch, sap, or tar is very difficult to remove from your hands, clothes, and most of all, from the paint on your car. This stuff is a nuisance. It takes days for it to wear off your skin, it never comes out of your clothes no matter how many times you wash, and you will probably end up ruining the paint on your car trying to scrub it off. Car polishing machine are extremely important for making your car glossy and increase it’s value. I will show you how to remove tree sap from almost anything with ease, and with a very common product you can find almost everywhere. This product is so common that you probably carry it around with you every day. You can find it in airports, grocery stores, public restrooms, restaurants, child daycare centers, and most schools. I could go on, but I think you get the point. You probably didn’t realize you carry pine pitch or sap remover with you every day, in your bag or in the glove box of your car. You may even hook it on the belt loop of your pants, depending on how germaphobic you are. If you guessed this product is hand sanitizer, you are correct. Hand sanitizer will remove tree sap from almost anything, including the paint on your car. Just be sure you try it on a small, unnoticeable area of the surface before you go to town on whatever it is you’re cleaning. Isopropyl alcohol (rubbing alcohol) is the chemical ingredient that breaks down and removes the resin. If you’re trying to get sap off the paint off your car, just work lightly and slowly so your don’t harm the surface. The alcohol shouldn’t harm a new paint job, but the dirt or friction might scratch it. First, just press the rag or cotton ball dipped in alcohol against the sap and hold it there for a minute or two, then start rubbing gently in a circular motion, and rinse with soap and water. You might have to wax the area again because although it shouldn’t harm your paint, alcohol will remove any wax you may have applied. If you’re trying to get the stuff off your hands or skin, simply rub some alcohol (or hand sanitizer) on your hands until it comes loose, then rinse. For clothing or fabric, gently scrape off as much as you can, then rub the spots with a cotton ball soaked in alcohol until it lifts off, and wash as usual. For hair (including your pet’s fur). The hand sanitizer or alcohol will work but I recommend something gentler, especially if the sap has already dried. Try working some cooking oil into the tar and gently working to break it up with your fingertips. What Else Can Be Used to Remove Sap, Tree Tar, or Resin? Eyeglass cleaner wipes will work. There is not much alcohol in the little towels, so you may need a few. Olive or cooking oil can help loosen sap, especially if it’s dried. Anything super oily is worth a try. Some people swear by peanut butter, and some use WD-40. Heating the sap with a hair dryer or freezing it in the freezer might allow you to loosen or pick it off more easily. How Do You Know Alcohol Is Safe for Car Surfaces? In my 25 years in the automotive business (Honda, ASE certified master technician), I have installed many automotive accessories that use two-sided tape (like body side moldings, door edge guards, bumper protectors, and rear spoilers). Before you install any of these items, the manufacturer will have you wipe all wax and dirt from the area that you will be installing it on. Manufacturer supply alcohol wipes in the installation kit. This is the reason I know alcohol is safe to use on automotive paint. I have removed pine sap with hand sanitizer from my own car’s paint and interior. I’ve also used it on skin, clothes, hardwood floors, footwear, and hair. We hike a lot with the kids and they have a knack for getting it everywhere, like on the seats of their pants, and you can guess what it gets on after that. Owning a car is quite a freedom. You have the ability to travel almost anyplace at any time you choose. Of course, this means that your car can break down at the most inconvenient time, leaving you stranded by the side of the road. The advice included here will help you handle that situation if it arises. Car polisher is beneficial if you want to sell you car with the highest value. Buy a good battery charger to keep in the car. The problem of a low or dead battery is very common, and if you keep a charger in your car you can assist other drivers with the problem. Take a few minutes to learn how to use it properly before you get in a situation where you need to use it. Always keep and eye on the radiator to make sure that it is full. Run your car for a bit, turn off the engine and then open the hood. Do not lift the radiator lid when the engine is running or if it is too hot. Use a dipstick to check the fluid level in your radiator and mix some coolant with water if you need to add more fluid. Take the time to read your car manual and know the basics of how your car works. When you need to go to an auto repair shop, the professionals you are dealing with will want to know certain information regarding your car. The manual may give you information to help you easily fix a problem. Always keep a record of any maintenance done to your car. Future problems can be easily solved when auto technicians have access to past records. Your car problems may be harder to find and you may have higher repair costs without the records. Ask if your intended mechanic is experienced with the make and model of your car. Although cars are generally similar in some ways, there are big differences between models. If you don’t know, pay extra to get the dealer to repair it. Do not forget about your windshield wiper blades. If your wipers don’t do a good job, you need to replace them. Try to replace these blades once a year so that you can drive safely in the rain. If you’re having serious repairs done on your vehicle, make sure to get multiple estimates. Although shops usually can be trusted, you could end up having to pay extra money that you don’t have. If possible, find a mechanic who is specialized in the make and model you have or in the kind of problems you are encountering. These places probably have a better understanding of what you’re going to need done to your vehicle. Don’t neglect wiper blades. If you notice your windshield wipers are not working properly, get new ones. Wiper blades ought to be replaced yearly. If your area is rainy or blades become worn, they may need to be replaced more frequently. When you get gas, always check tire pressure. Examine the tires for anything that might be stuck in them. If you notice any problems with your tires, have them checked by a professional. It is very dangerous driving on bad tires. Educate yourself on the basics of car repairs and warranties before going to the mechanic. Parts are also classified according to their condition: new, salvaged, and reconditioned, rebuilt, and re-manufactured. “New” refers to parts that have been created to manufacturer specifications either through an independent retailer or them. Used parts that have been made good as new are classified as reconditioned. They may also carry a tag as “rebuilt,” or even “re-manufactured.” Salvage parts just means used parts without any type of alterations. It can be hard to choose the best auto repair service. Dealing with auto repairs will be much easier once you learn more about this topic. Understanding what things you need to look out for and what questions you should ask will give you a big advantage. This article will help protect you in the future. If you’re tired of your old, curb-rashed wheels or just want to try a new look, then you should consider a Plasti Dip wheel coating. 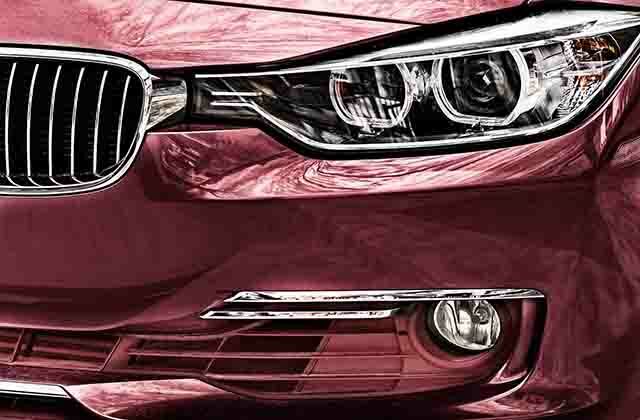 Should you take car paint protection Adelaide as an add on with the purchase of a car when offered as a way of bargaining on the price. Plasti Dip has become extremely popular and has proven to be a great way to safely and temporarily change the look of your car. You can do this on grilles, badges, trim, and just about any other part of your vehicle, but today we’re going to focus on wheels. Plasti Dip is a colored, rubberized coating that you can dip, brush, or spray onto parts. It was originally used for coating tool handles, but the variety of applications for it has grown exponentially. You can use the rubber material to temporarily change the color of parts, like wheels, and you can peel the material off if you ever decide to remove the finish or change colors. Although Plasti Dip can be removed easily, it is quite durable, and a great way to protect the original finish of your wheels. What Colors Does Plasti Dip Come In? Previously, Plasti Dip was only offered in a few matte colors like red, black, and white. You can still get these colors, but you can get many more; they now offer a “mix-your-own-color kit.” Websites like dipyourcar.com offer a variety of premixed colors like gunmetal, monster green, blue, purple, and yellow. You can now buy gloss coatings or “metalizers” as well, to add a glossy, silvery, or golden look to your Plasti Dip coatings. 1. The first step is to clean your wheels vigorously. Dirt, grease, or wax will keep the Plasti Dip from sticking to small areas, and as a result your finish will not be as durable. No other preparation is needed other than cleaning the wheels. Sanding may just make your job more difficult, as the Plasti Dip will be harder to remove from a rough surface. Do make sure that the wheels are completely dry before moving on. 2. After cleaning the wheels, you need to decide whether you are going to apply the Plasti Dip while the wheels are on or off your car. It’s easier to apply Plasti Dip to wheels that are off the car, because you can tilt the wheel and spray at angles that are difficult to reach when the wheel is sitting upright. That does not mean, however, that you can’t spray the wheels while they are on the car. You just have to be careful of any hidden surfaces you might miss while spraying. 3. You have two choices for how to mask off the tire to reduce the amount of overspray. Overspray is not the worst thing in the world here, because Plasti Dip will peel off tires, but it’s a lot easier if we take some steps to keep overspray to a minimum. You can either use masking or painter’s tape to tape off the tire around the edge of the wheel, or place your deck of cards upright around the outer lip of the wheel. 4. Now that the tire is masked off, you can begin spraying your wheels. Spray using arcing, evenly-paced passes. Spraying Plasti Dip is a lot more forgiving than spraying paint, but still, try not to create drips or bubbles. The first coat should be very light and still seem almost transparent. After it dries for 10 minutes or so, you should be ready for a second coat. Again, just lightly cover the wheels with smooth, even-paced sprays. After the second coat, the color should be more solid, but still not completely opaque; again, let this coat dry before moving on. The third coat will be the last. Spray just as light as before, but you’ll notice that the color will become completely solid now. After the third coat dries you can extra spray to areas that might need touching up. After you apply your last coat, let the wheels dry at least 40 minutes to an hour before trying to handle them. 5. If you want to add a glossy or metallic finish to the wheels, make sure the last coat of Plasti Dip is completely dry, then spray the glossy or metallic coating on top of it. Try to spray very lightly, especially if using the silver or gold coating; these metallic-effect sprays go on pretty heavy. When you’re done, wait for everything to dry and remove the cards or masking tape. Sunlight that gets through the atmosphere to ground level is known as UV rays – UV standing for Ultra Violet, meaning the rays have a shorter wavelength than our eyes can see (we can see the colors of the rainbow, but not outside that range). But just because we can’t see them does not mean they are not real – and potentially very dangerous. Pigmentation treatment Sydney use a laser for removing unwanted pigmentation on the skin such as age spots, sun spots, and freckles. This UV radiation is divided into two types, which scientists creatively have called A and B – so we have UVA and UVB rays. UVB rays vary according to the time of day and amount of sunlight, and are the main causes of classic sunburn and skin cancers. They are at their strongest when the sun is high in the sky during the middle of the day, on clear days, and can reflect off things like water and snow to magnify their effect. UVA rays on the other hand are present all the time during daylight, and are just as much a threat, especially because many people don’t realize these UVA rays penetrate clouds, glass (including car windows as well as office windows), and often even light clothing. While UVA rays may not give you sunburn like a day at the beach, these rays are the primary cause of skin aging – so unless you want to look like a prune by age 40, it is just as important to protect against UVA. SPF ratings, however apply only to the UVB protection level. The rating or “SPF Factor” indicates the percentage of UVB being blocked out by a particular sunscreen. But it’s a logarithmic scale and not a linear one, so be aware of this! Here’s how to work it out. A sunscreen marked as SPF 2, will only block 50 per cent of UVB light. The lowest factor generally recommended by the medical profession, SPF 15, will block out around 93 per cent of UVB, while a screen with an SPF of 30 will prevent 97 per cent of UVB rays reaching the skin. It does NOT mean that a sun screen labeled as SPF 60 will be twice as effective or protect you for twice the time of the SPF 30. Once you get above the SPF30 rating, the increase in effectiveness can be quite small and gets smaller the higher you go, and although used as a marketing tool the difference in practice between, say, SPF50 and SPF100 is negligible. Unfortunately for UVA protection – the predominant cause of skin aging – there is no universally recognized rating system and many manufacturers provide their own “self-rating”. The only way you as the consumer can judge how believable this is lies in your view of the brand, how reliable you think the marketing materials are, and most importantly what you can learn from the ingredients. The best way to determine whether a product will block UVA light is by inspecting the ingredients contained within it. The most commonly used and most effective ingredients to block UVA currently in use are avobenzone, titanium dioxide and/ or zinc oxide. A more recent development has been mexoryl, which according to many researchers, is the most effective protection against UVA so far developed. This ingredient has been available outside the US for some years and has now been approved by the US FDA as an ingredient in sunscreens. Another key factor that is as crucial as the SPF itself is how, and how often the sun screen is applied. Unless the product is a premium cream designed to be used sparingly, sunscreens should be applied generously; they should be reapplied after bathing or swimming even if they claim to be “waterproof”, and – most importantly – don’t reserve the use of sunscreen for special occasions. Remember UVA can cause your skin to age as quickly while you are gardening, walking the dog, driving or sitting in your office during the day – even if it’s cloudy or cold – as a summer day beside the pool or at the beach. While most sunscreens are designed specifically for this purpose, considering the need for everyday protection we are seeing the increasing popularity of premium daytime moisturizing treatments – especially natural moisturizing products with UV protection built in as a way of having one product undertake two roles, without compromising on either. Sun screens should not be regarded as the only defense against the damage caused by UV rays – they should, in fact, form one part of a three line defense – none of which you should skip. Defense number two is to avoid UVB rays by not going out into the sun in the hottest part of the day (around 11am – 3pm) and if you do, stick to the shade, use a sun umbrella and so on where you can. Thirdly, cover up! Wear a broad brimmed hat, cover as much skin as you can with clothing, and pay especial attention to making sure children have and wear the necessary hats and clothing as well. This isn’t something to be taken lightly, as anyone who has seen first hand the effects of melanoma, or skin cancers. Everyone should adopt a regular care routine that involves the use of products with adequately high SPFs with the other defenses of avoidance and adequate clothing, and it is absolutely vital that this must not be brushed off lightly. And let’s address some of the myths surrounding sunscreens. To begin with, just because a product is marked as being waterproof does not mean it will not need to be reapplied after having a dip. The majority of products undergo only 80 minute tests, and it is essential to reapply them every two hours to maintain optimal protection. Even after exercise or sweating a lot, the chances are most of the protection will have disappeared – so reapply the sunscreen. Another myth is the “healthy tan”. You tan because the skin produces more of a dark pigment called melanin, as a means of protecting itself from further damage. Getting a tan means damaging your skin enough that it tries to protect itself from further damage – that could hardly be termed “healthy”! Another dangerous practice is to try to get a so-called “base tan” to protect them while on holiday. The fact is, all tanning is potentially harmful and this practice simply exposes the person to greater risk. This is why sun screens should be applied daily and throughout the year, both indoors and outdoors. And don’t believe that if you already have darker colored skin that you are immune – or even better protected – from UV damage, as this is simply not the case. Because of this myth people with darker skins are often diagnosed too late for simple treatment of skin cancers, as the early warning signs have been dismissed. And it is those with naturally darker skin who are most likely to have problems with hyper-pigmentation or melasma. Another common mistake is dig out the previous years’ sun screens for use. This is a bad practice because the molecules within the products break down and lose their efficiency over time. Even if the sun screen is still within a stated expiry date, it should be examined for separation or other visible changes in appearance before use. If such signs are apparent, it should be discarded as environmental conditions may have affected it and rendered it useless before the expiry date. Extreme heat or exposure of the container to the sun may cause these effects, for example. If one piece of advice from reading this article stays with you, then go to your medicine cabinet; your car glovebox; your picnic and camping equipment; your bedroom and kitchen drawers; and all the places you have stashed sunscreens. You will probably be embarrassed at the expiry dates on some of it. Sunscreen tubes and bottles are not precious family heirlooms to be hoarded and passed to the next generation. Put them all into a trash bag, and dump them unless they are less than a year old and in perfect condition. Period. For men and women with thinning hair, or those naturally bald or with saved or very short hair, you should not overlook the use of a sunscreen to protect the scalp, however there is a recent and revolutionary scientific breakthrough that is proving the most effective approach yet devised. It goes by the acronym H.A.T. – no, this is not a clever Hormone Activation Treatment or any such thing. HAT stands for hat – preferably with a brim to share the face, ears and neck. Wear it! Finally, many individuals fear possible side effects caused by chemicals such as titanium dioxide or zinc oxide. Although this remains a matter of some debate, the general consensus is that micronized physical blocks like this do not get absorbed into the skin, but remain on top, where they reflect sunlight as part of their action. In fact, few, if any, of the chemicals in sun screens are actually absorbed by the body to any noticeable extent. There is no doubt that the benefits of sensible use of a sunscreen well outweigh the possible risks, and to put this in perspective there is greater toxicity and potential damage to your body in wearing sunscreen for a day than drinking a martini – olive or not. On that note, as the sun is over the yardarm, I think I will leave you to think about sunscreen, while I decide whether to add an olive or not. David Christensen is Managing Director of Royal Siam Natural Health and Beauty ( [http://www.royalsiam.asia] ), manufacturer of premium skincare and related health and beauty products. Royal Siam was formed to commercialize and bring to the global market the wealth of knowledge – built up over more than 800 years of written records – into the healing and beneficial effects of more than 3000 plants and herbs that can be found in South East Asia, centering around what is now Thailand. Not only does Royal Siam have this unique perspective and product range based on organic, natural ingredients but the company has tapped into the very latest in scientific developments from around the world in fields such as anti-aging, nanotechnology, pharmacology, and biotechnology to include within the product range some of the most advanced skincare and anti-aging products available on the market. Truly the best of nature, tradition and modern science. Included among these leading edge products is Royal Siam’s Day Long Moisturizer with UV Protection of SPF100++ (protection against UVA and UVB rays). This product combines a premium facial moisturizer that will rejuvenate and protect the face for an entire day in harsh conditions (air conditioning, pollution, dust, wind etc) – but also offer one of the highest levels of UV protection that can be found on the market. Royal Siam products can easily be purchased online at [http://www.royalsiam.asia] and can be shipped anywhere for a modest cost. Having dents or scratches on your car is so common. Dents, scratches or paint ripping off from the body of your vehicle ruins its look and appearance. Therefore, it is important that you get your car body repair done in time. This ensures that you maintain the looks of your car and save on higher expenditure of repairing huge dents. 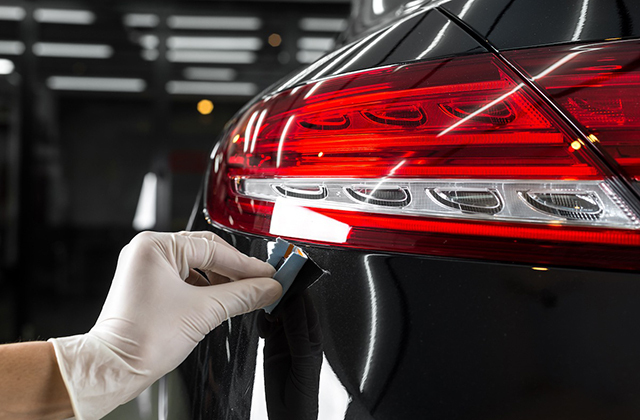 Many local car repair garages as well as leading car repair workshops offer dent repair and car painting services at great prices. It is indeed a challenge to choose the best company from where you should get the services done. Here are some simple and essential tips on choosing a reliable and reputed car repair workshop that offers you the best car care services. Superioshine offers breakthrough paint protection film pattern creation and cutting. 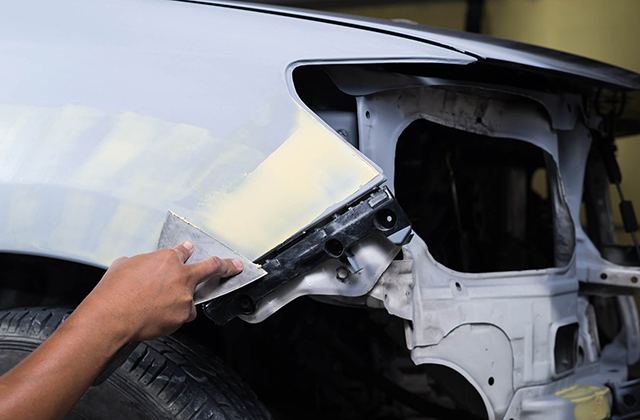 The very first thing you need to do is look for car repair workshops in your area and make a list of all the workshops that offer painting and dent repair services. You can look on the internet or check with your friends, relatives or colleagues. Read customer experiences online and do some research about the services offered, price, mechanics, tools and techniques used etc. Once you have made a list of workshops, check how long have these been into existence. You may also check the type of services and customers served. This will give you a fair idea whether the company will be able to do the job or not. Leading brands also have workshops located across cities that offer multi-brand servicing. You should always check about the mechanics or technicians working for the workshop you have shortlisted. Car paint repair requires great expertise and is expensive. It is always advisable to get this done by highly skilled and experienced professionals for best results. The staff at the workshop will examine your car and give you an estimate cost and time for the repairs. It is important that you get the repair quotes from different workshops and then choose the one that offers the best service at reasonable price. Don’t compromise on service or quality of service, however, this doesn’t mean you spend a fortune on getting your car painted. Many leading companies offer an online dent estimator tool which gives you an approximate estimate of the cost that you will incur. Now that you have the list of various repair workshops in your area, do the comparisons. Compare services, staff, experience, existence and price. Ensure that you read customer feedbacks and reviews online. Once you have done all your research, choose a company that you feel is offering you the best value for money services. 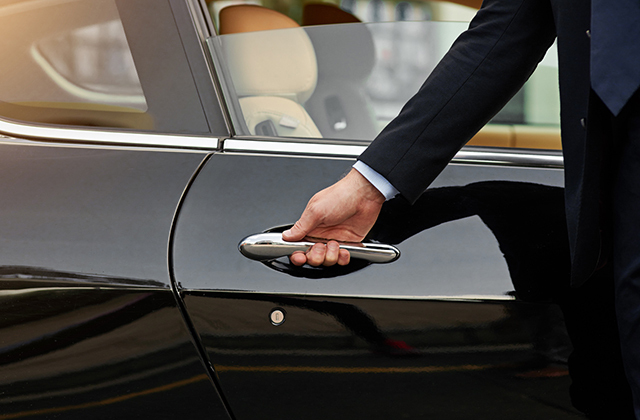 Your car is one of the most valuable assets. Caring for your car is extremely important. So, without any further delays, get your car dents repaired.